Looking for tips on how to scrapbook and how to organize scrapbooking projects? Here's how to put together a rockin' scrapbook! Scrapbook organization is vital to creating a scrapbook and preserving memories. You want your scrapbook to tell a story and evoke emotion. 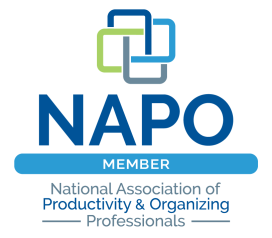 Being organized helps accomplish this! Outlined below is the craft organization process I personally use to create a scrapbook as well as some superb product suggestions, so use the following tips to get started! • Gather all of the items (i.e. photos, ticket stubs, receipts, etc.) you want to put in the scrapbook. • Lay out the photos and other paper memories in the order you'd like them to be displayed in the scrapbook. I find that the best way to organize photos and other paper memories in a scrapbook is to lay it all out in the order it happened on the trip. • Once you have it all laid out, you will be able to see how many pages your scrapbook needs. Now you can purchase and/or choose the scrapbook that is appropriate in size, material, color and amount of pages. • At this time, you can also purchase the appropriate decorations. • Now that you've got all your materials and everything laid out, it's time to get scrapbooking! 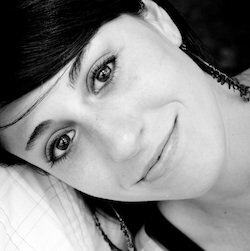 • Whether it's on the cover or the very first page, you need a title page. This is where you put the title of scrapbook, the date and perhaps a photo that "says it all." • You've already laid out the photos and paper memory items, so now just insert them into the scrapbook accordingly. Remember, organized scrapbooks are not limited to the order of the pages but also how items are organized on a single page. Think about placement. Here are some ideas on how to organize scrapbooking page layouts. 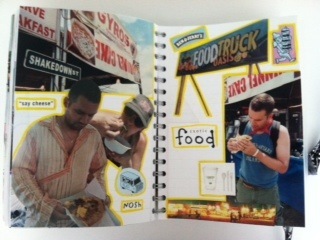 This is the "food" page out of one of my scrapbooks! • Now it's time to decorate! Spiff up your scrapbook pages with stickers, colored paper, glitter, stamps, cut-outs, and so on. Think about how you felt at certain times of the trip, and use your decorations to evoke that same emotion. • Let everything dry and then show off your wonderful scrapbook organizing work! Products for craft organization and scrapbook creation are so much fun! Check out the suggested items below. She has so many cool craft products I get excited just thinking about them! There are tons of scrapbooks out there! Like mentioned above, purchase a scrapbook appropriate to what's going inside. Rag & Bone Scrapbooks - a Favorite for Scrapbook Organization & Creation! This site sells beautiful, convenient, and practical scrapbooks, albums, journals, address books and much more. They are handmade and can be customized saving you time on your art projects yet preserving your personal touch. These also make great gifts! !